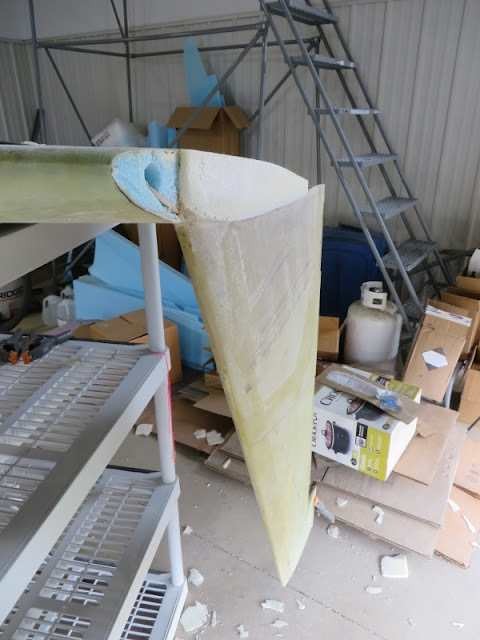 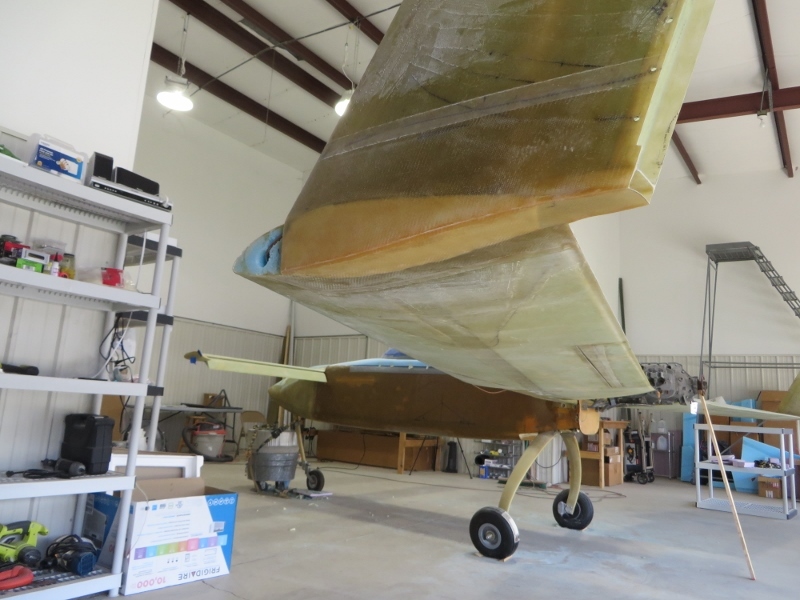 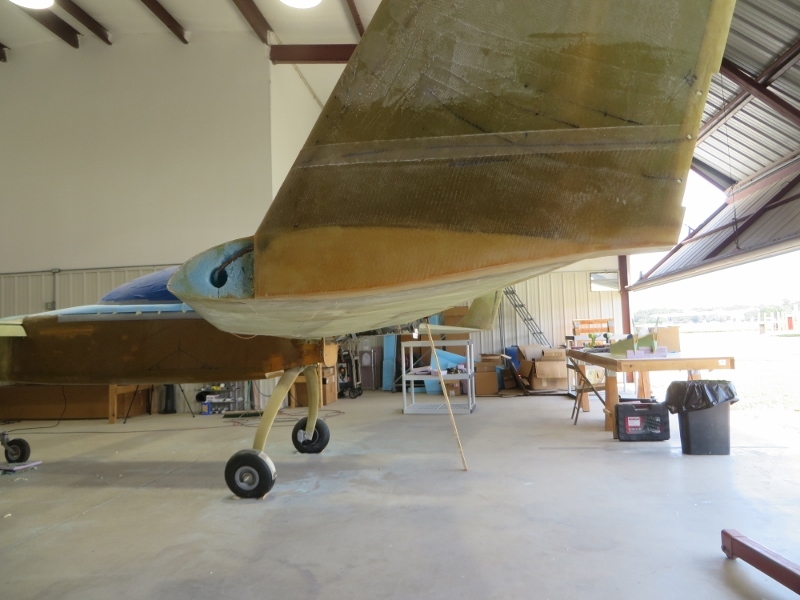 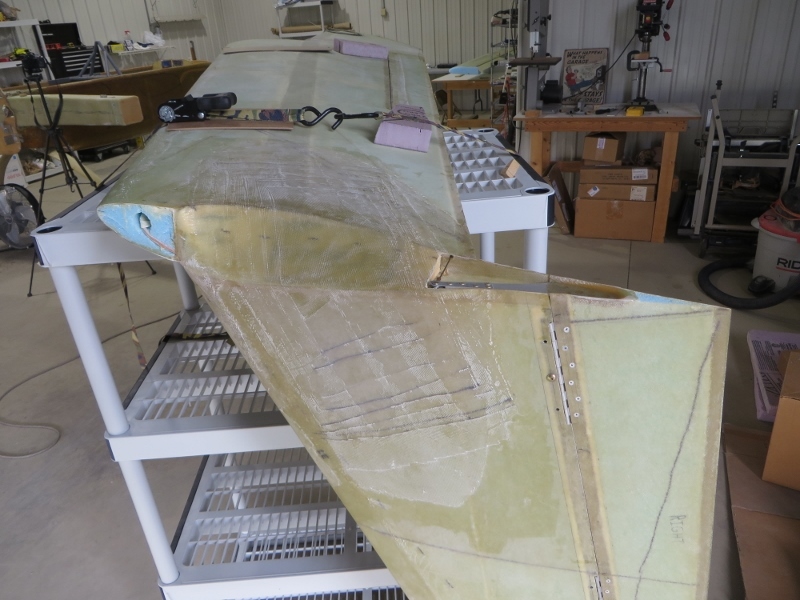 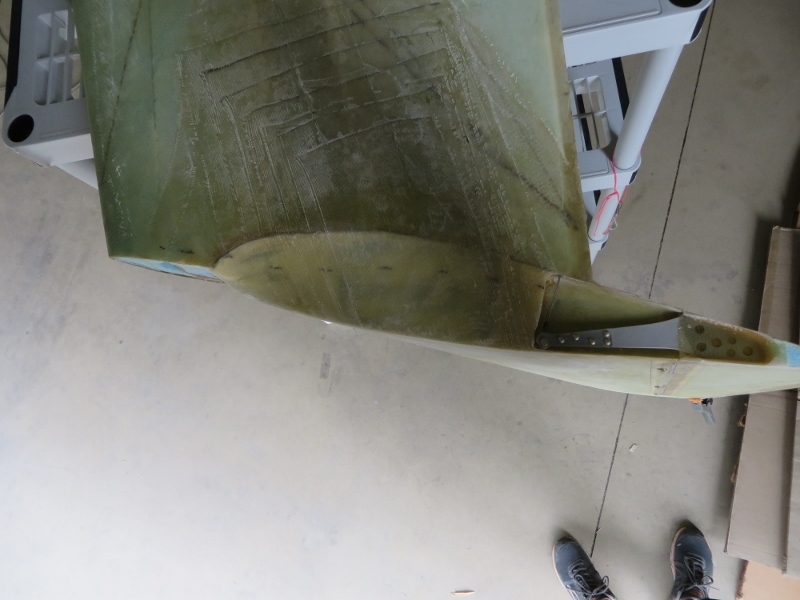 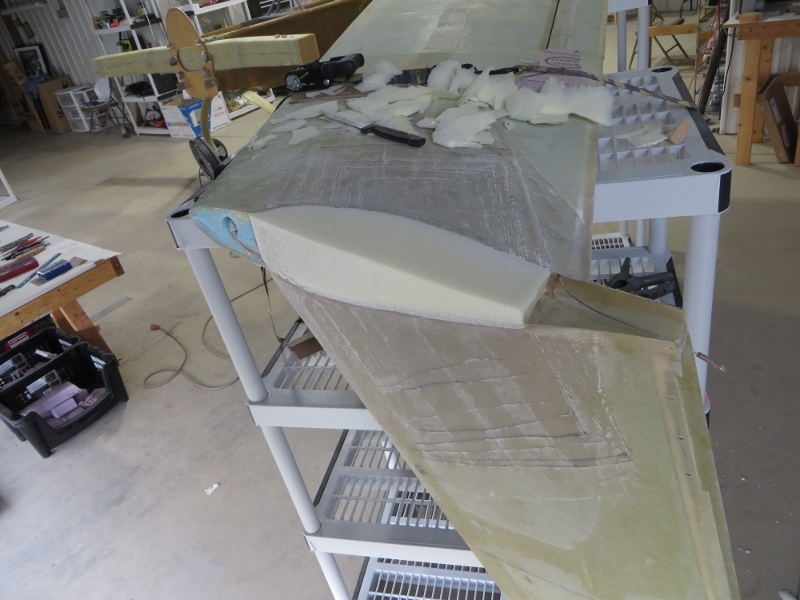 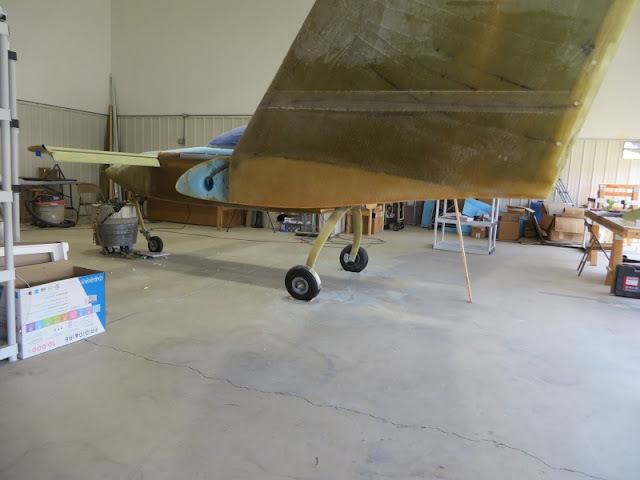 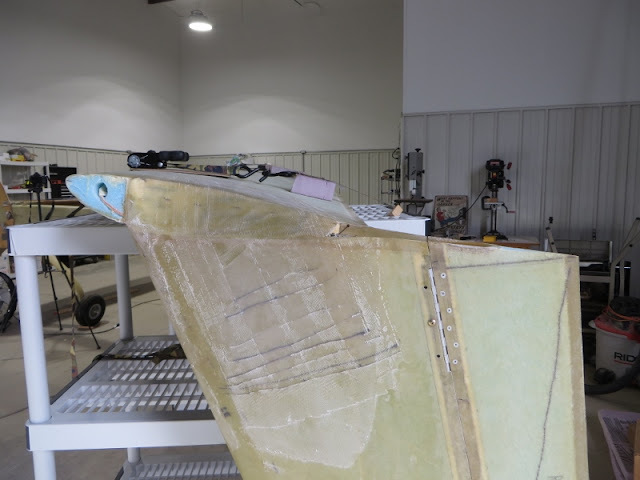 With the internal rudder belhorn installed onto the rudder, it was time to finish the wing tips. 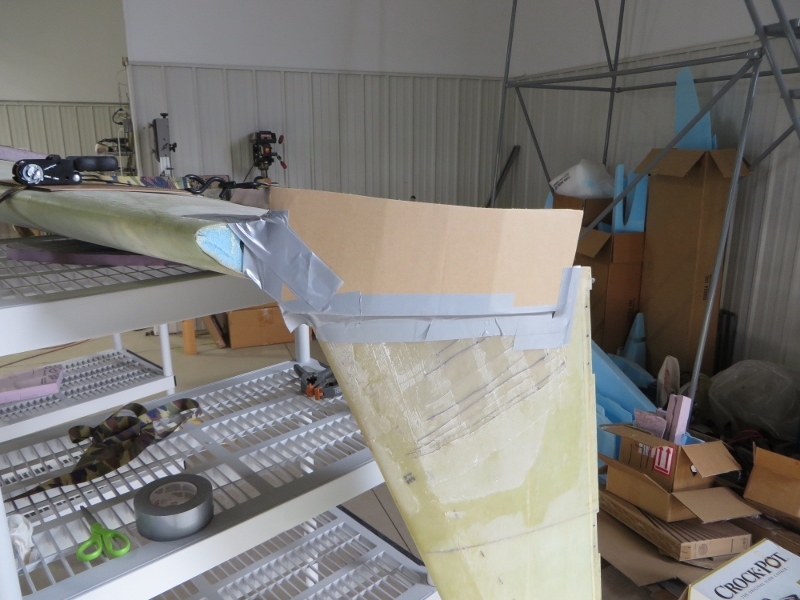 Since I'm not installing lower winglets, I just had to fill the wing tips and shape them however I pleased. 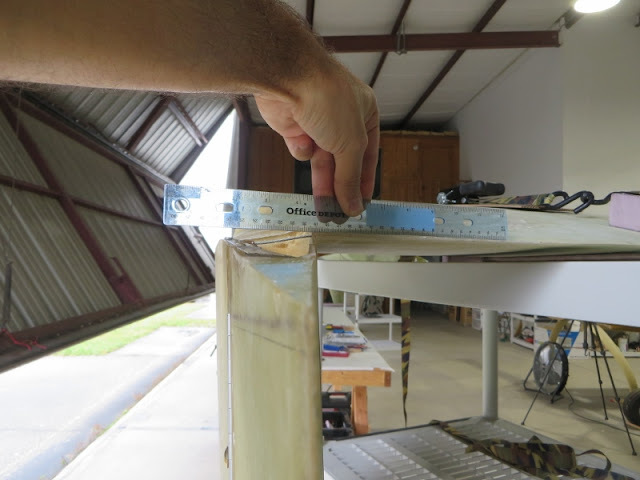 I decided to go with a sharp 90 deg edge... 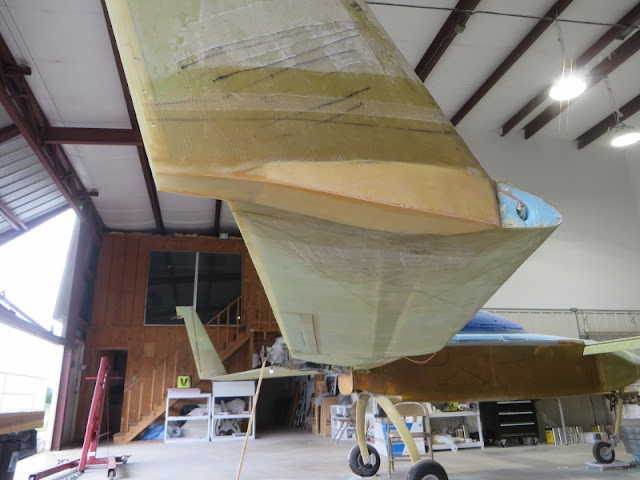 I liked the idea of it looking like it was cut by a laser! 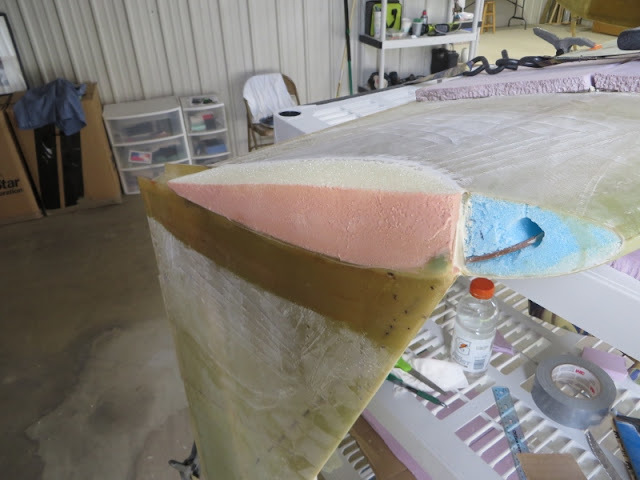 The result: a clean 90 degree corner that looks like it was cut by a laser! 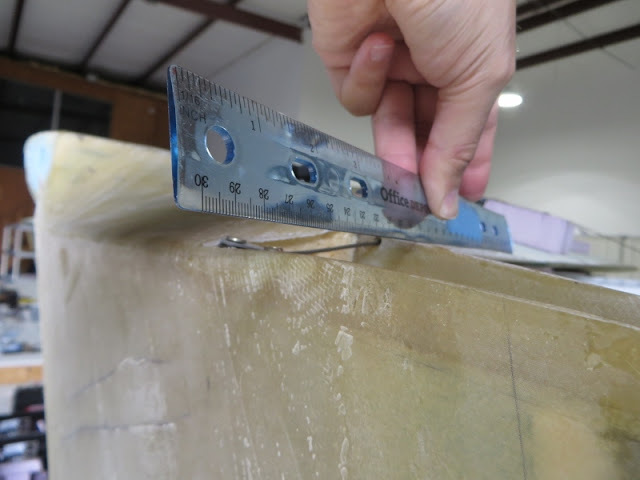 Used the dremel to make a flox corner... made sure to remove any micro that was in there. 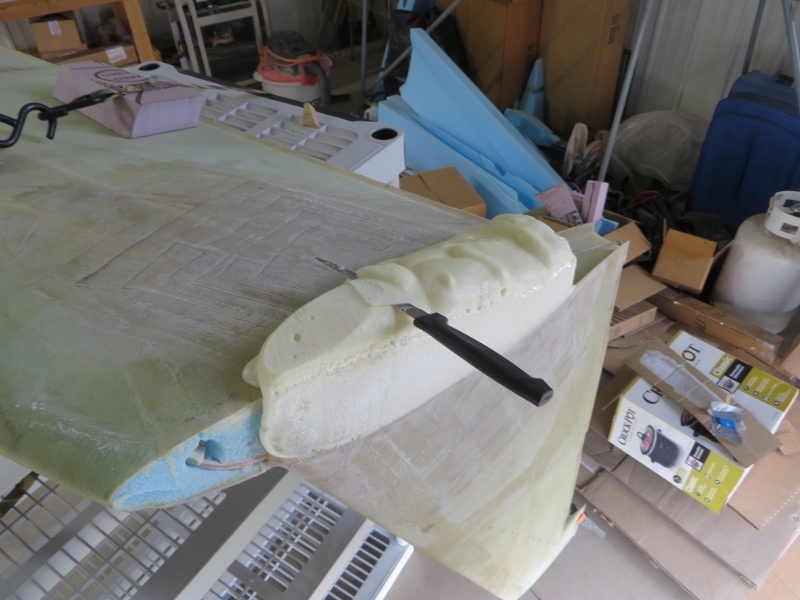 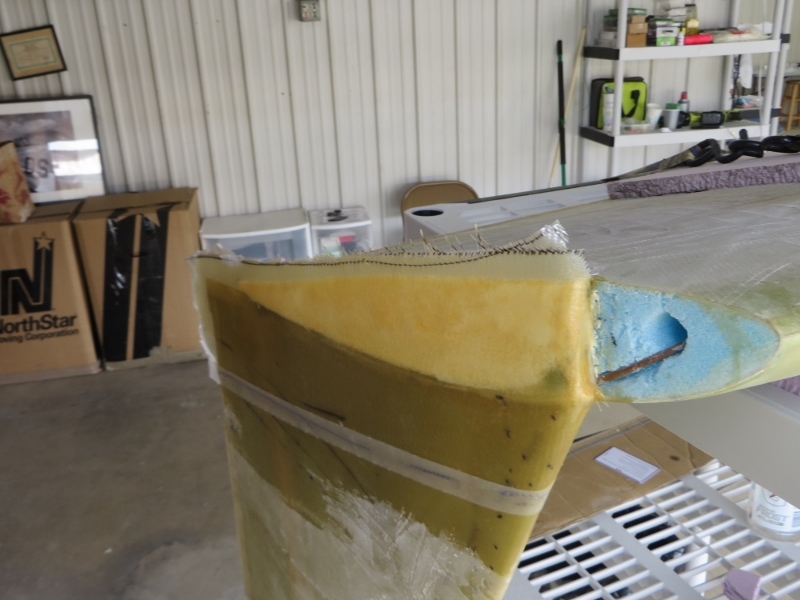 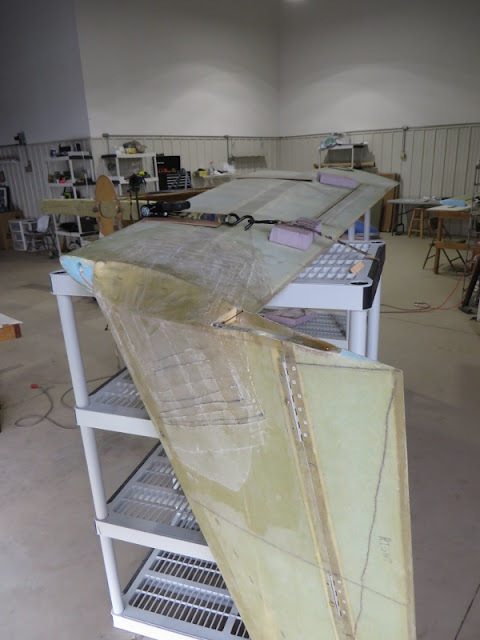 Also, sanded the wing's bottom surface (about 2") where the layup was going to overlap onto the wing. 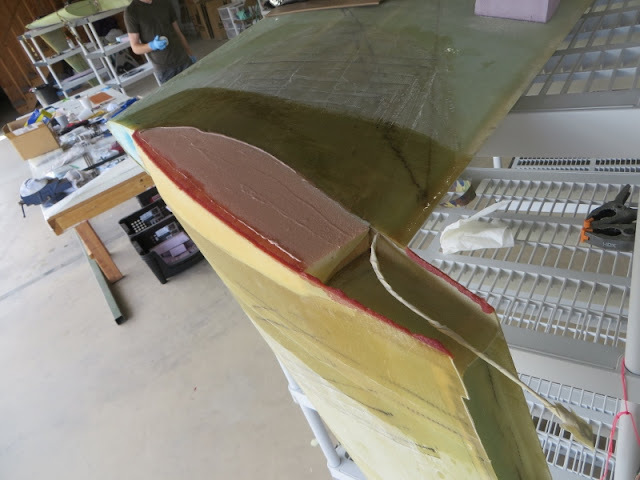 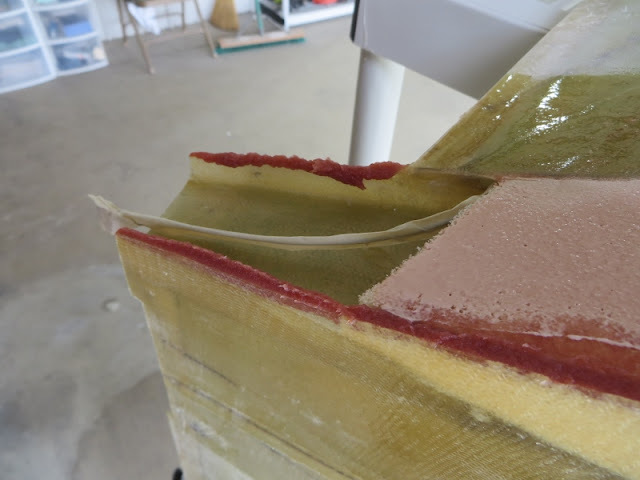 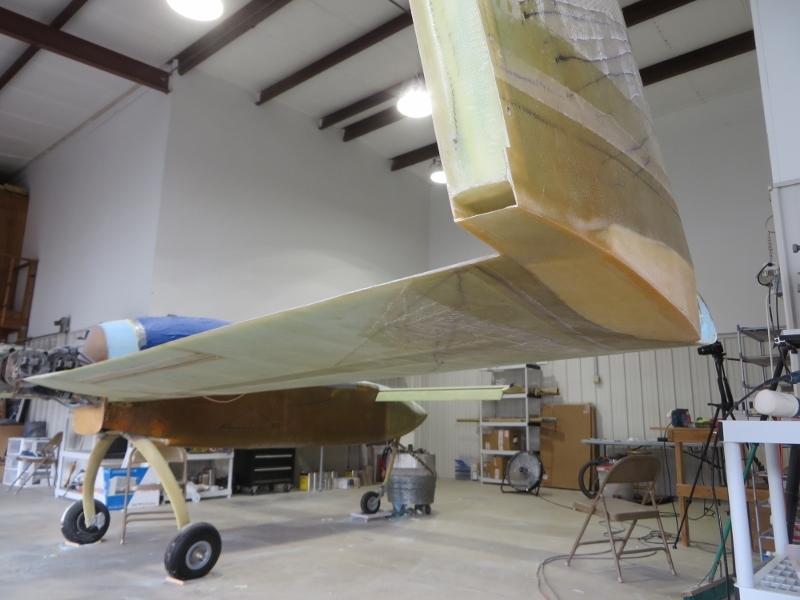 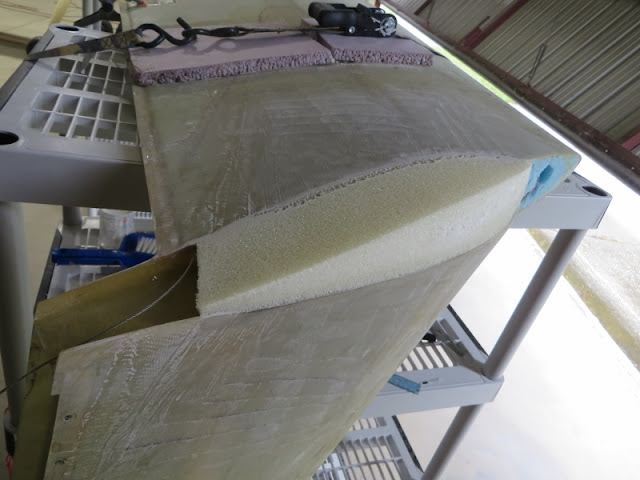 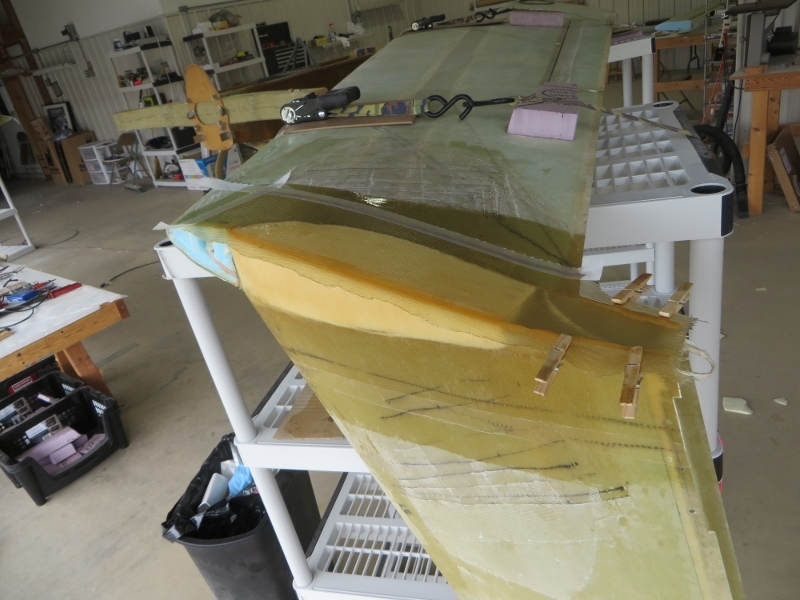 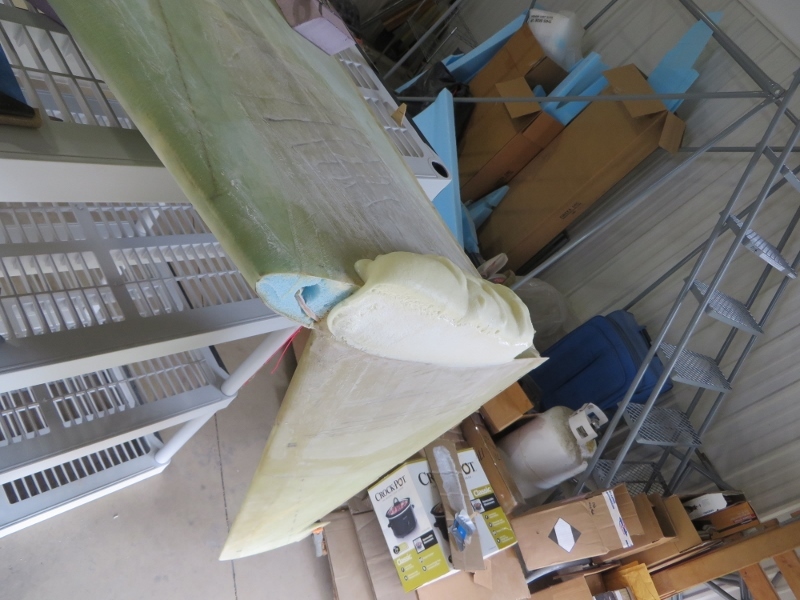 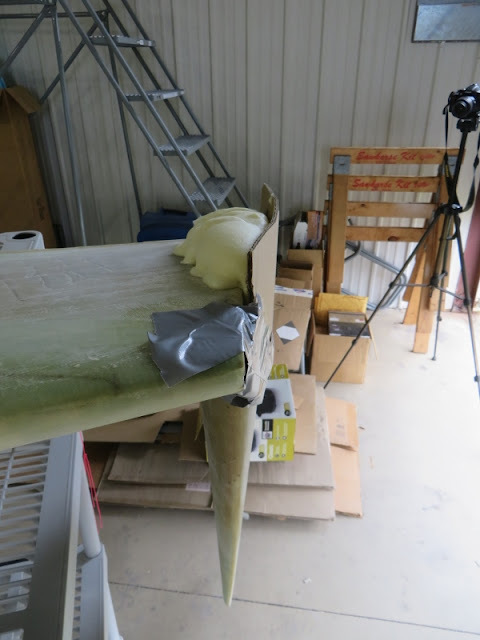 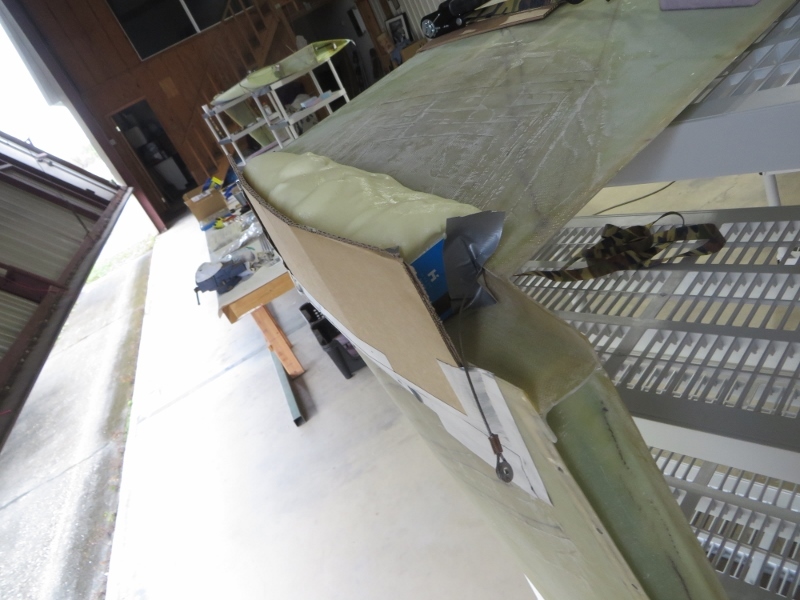 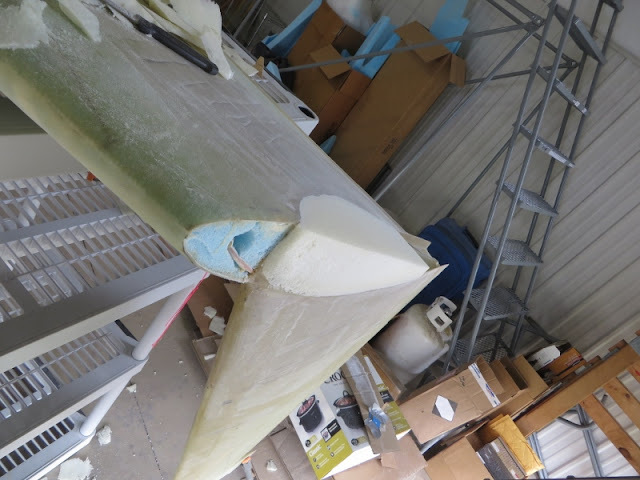 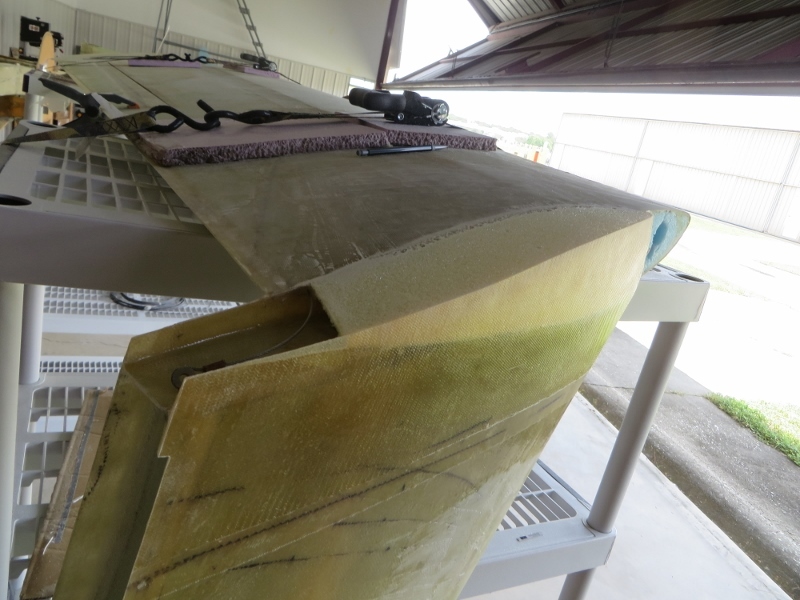 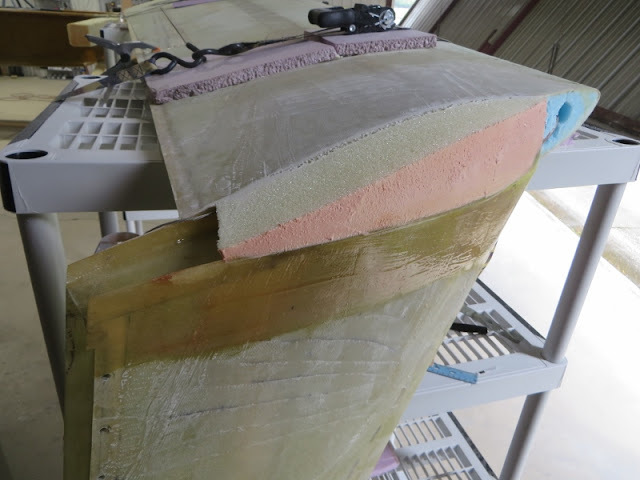 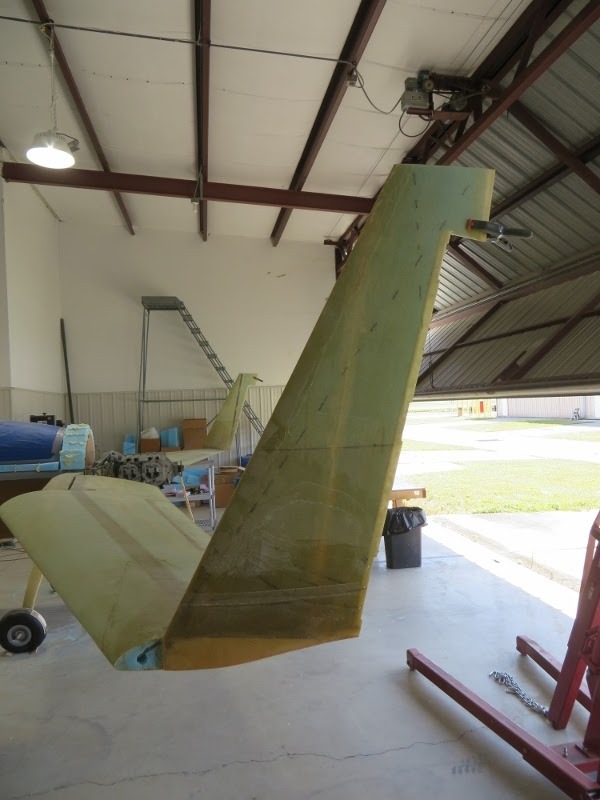 Painted plain epoxy on the wing's bottom surface... flox into the flox corner... and slurry on the foam.. 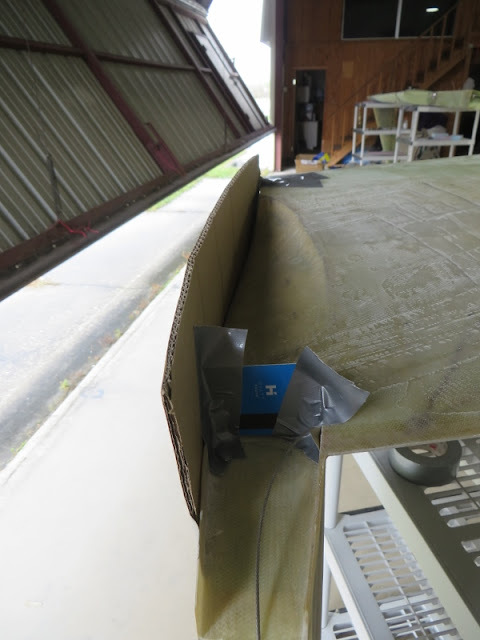 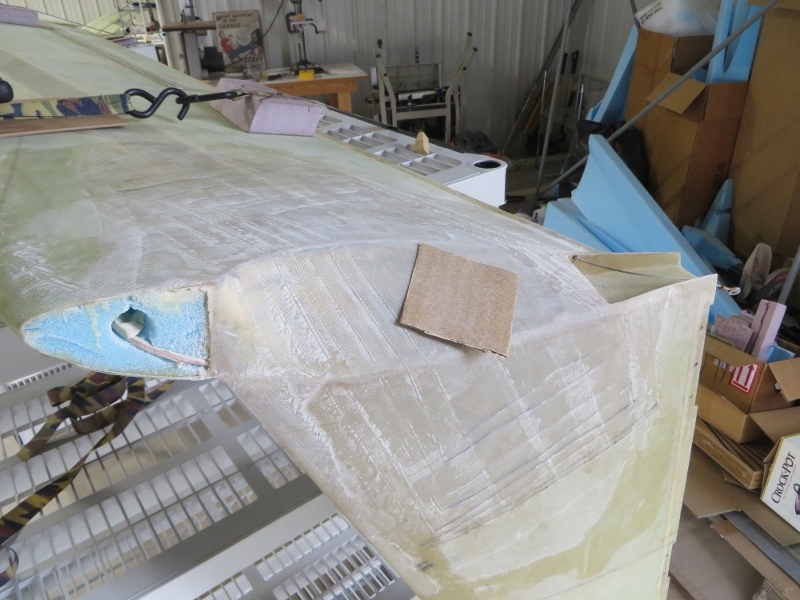 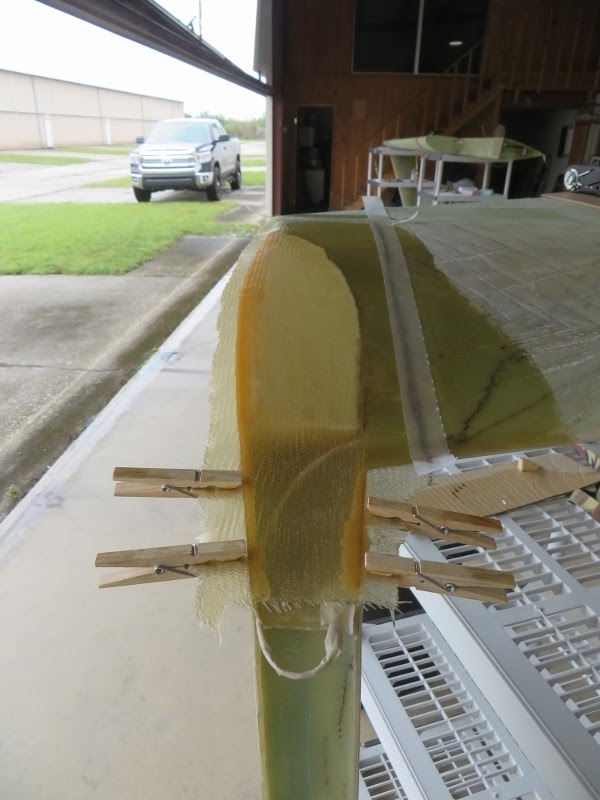 I then prepregged 2 plies BID at 45 and placed it on top... peel plied the transition onto the wing.. and added clothes pins to the aft end of the belhorn pocket.. this helped keep the layup tight so it would cure flat.. 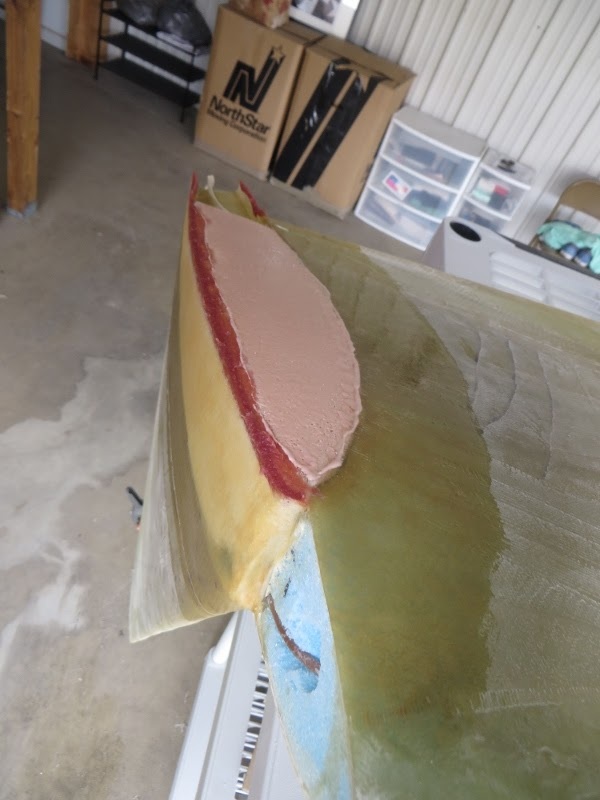 I'm very happy with the way it turned out! 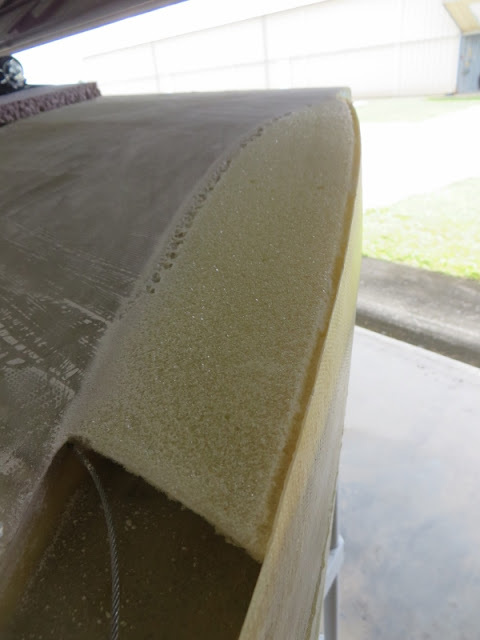 Looks so sharp and clean!! 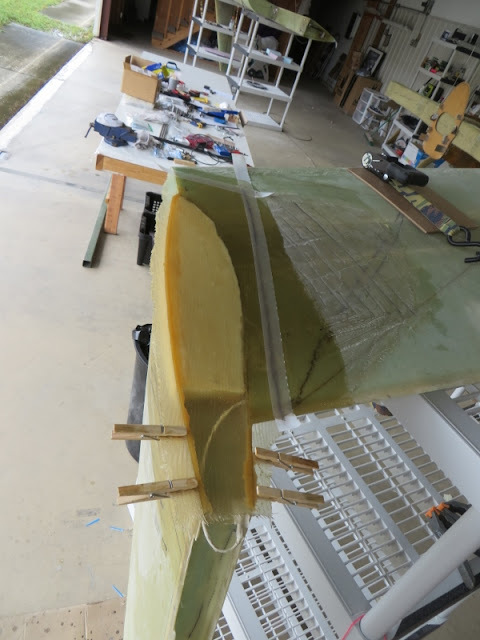 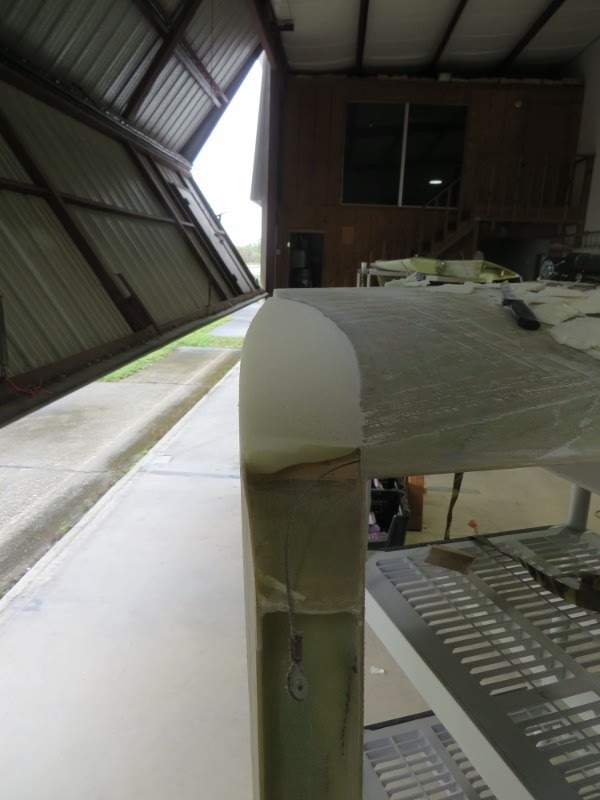 Great pic showing the internal belhorn pocket... the cable gets connected to the belhorn.. the rudder cable is then pulled as the rudder gets installed... and there you have it!! Wing tips are complete!